It was lost over 100 years ago in what many consider the worst maritime disaster in San Francisco history. On Feb. 22, 1901, in a dense morning fog, the SS City of Rio de Janeiro struck jagged rocks near the Golden Gate Bridge and sank almost immediately, killing 128 of the 210 passengers and crew aboard the ship. The ship was never found - until now. 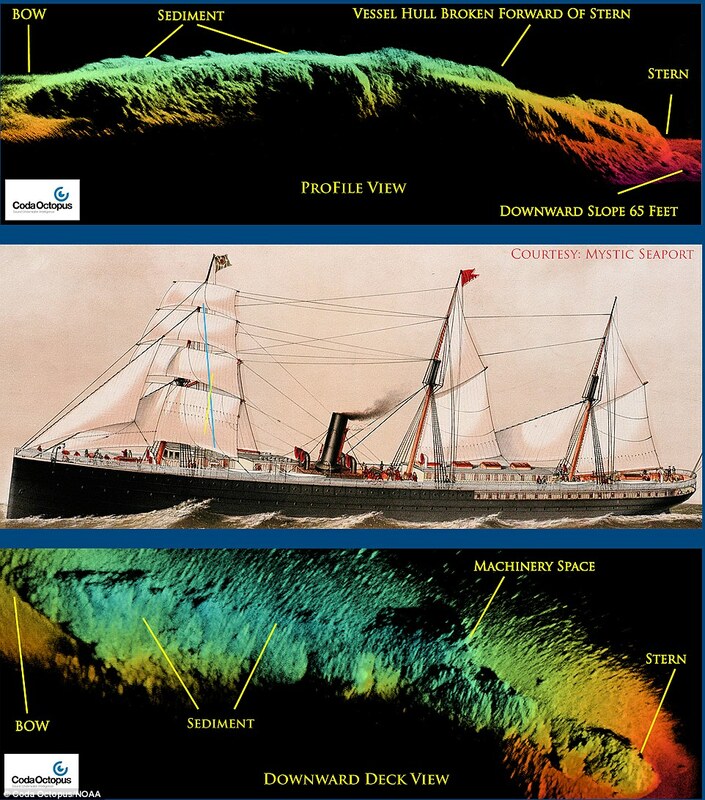 The NOAA and partners today released three-dimensional sonar maps and images of the immigrant steamship. We are undertaking this exploration of the San Francisco Bay in part to learn more about its maritime heritage as well as to test recent advances in technology that will allow us to better protect and understand the rich stories found beneath the Bay's waters,' said James Delgado, director of maritime heritage for NOAA's Office of National Marine Sanctuaries. The images also revealed that the ship did not, as rumoured, contain treasure. The City of Rio de Janeiro was rumored to be full of silver treasure, but Delgado said accounts of a shipment of 'Chinese silver' were actually bars of tin. Today the wreck is broken and filled with mud, and it is a sealed grave in fast, dangerous waters in the main shipping lanes,' he said.